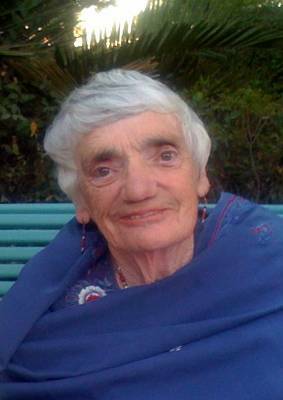 Samantha Frances Thomson, a beloved member of the Fellowship of Friends for over thirty-seven years, completed her task at home from heart failure, at 2:00 pm on Sunday, February 27, 2011. Samantha celebrated her eighty-fourth birthday last November 23rd. Samantha joined the School on April 1, 1973 in Los Angeles. She graciously added to life at Apollo since 1978, by being on salary, regularly attending meetings, and hosting a daily lunch table at Apollo d’Oro.